Patti Smith was inducted into the Rock and Roll Hall of Fame in 2007. The high priestess of punk-poetry. 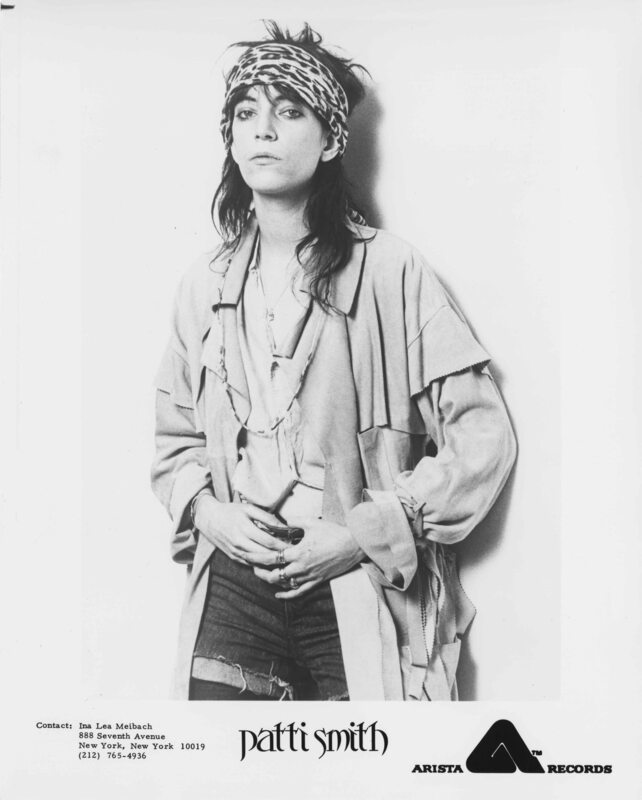 All of our books on and by Patti Smith can be found here. 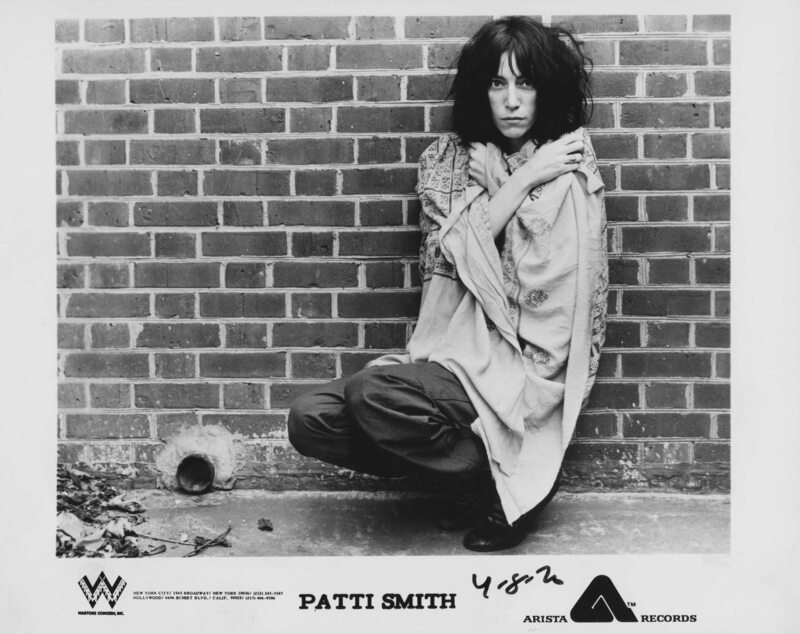 All of our audio by Patti Smith can be found here. Archival collections are described in Finding Aids that provide you with historical and organizational information on a collection, subject headings that tie it to other library and archival materials, and an inventory to help you pinpoint what you need. The detail of inventories vary. Search the full text of finding aids for these collections and more via the catalog. Consists of items documenting Smith's career as an artist and musician, including clippings, correspondence, artwork, handwritten lyrics and poetry, photographs, and posters from 1972-1993. 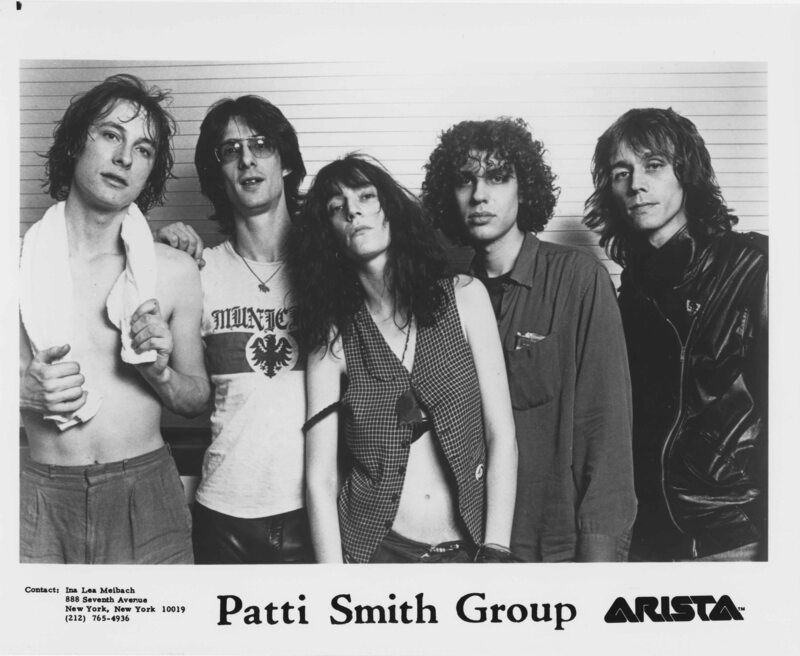 Series I contains 70 bootleg audiocassettes of live performances and radio interviews by Patti Smith and the Patti Smith Group, mostly from in and around the New York City area during the 1970s. 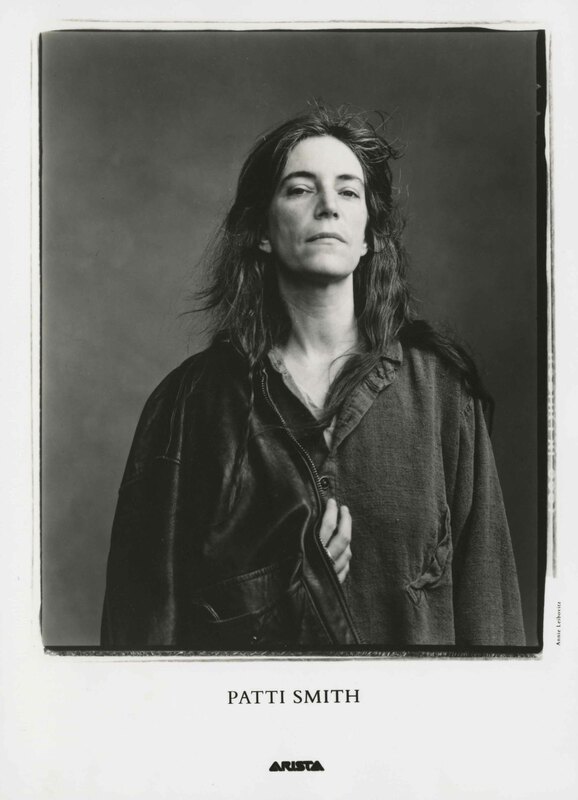 Consists of undated bootleg videotapes of live performances of Patti Smith. Includes artist file and 16 Magazine content from the late 1970s, as well as a poster.